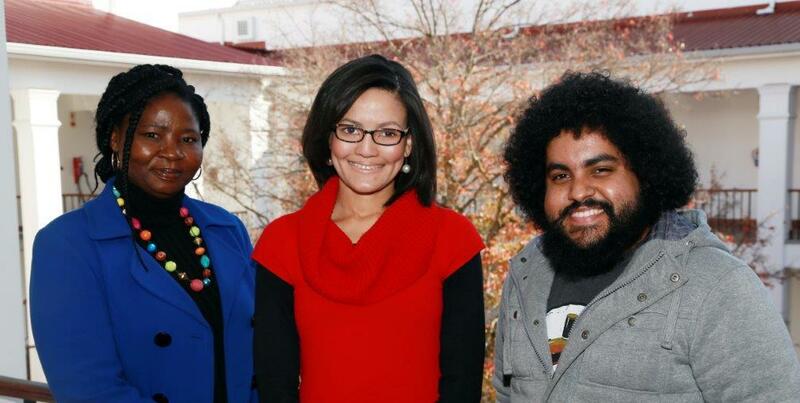 Three students joined the South African Research Chair in Property Law (SARCPL) in 2016. Ms. Refilwe Segokgo (right) and Ms Leigh-Ann Kiewitz (centre) are new LLD students and Mr Liam Moses (left) joined as LLM student. Ms. Refilwe Segokgo holds a LLB degree from the University of Botswana and an LLM degree from the University of New South Wales in Criminal Justice. Ms. Segokgopreviously worked as State Counsel at the Attorneys Generals Chambers of Botswana; as a Registrar of Deeds in Botswana. She is an Attorney at Law with Segokgo Attorneys. Ms. Segokgo is currently a lecturer at the University of Botswana. She lectures various modules including Introduction to Property Law, Land and Mineral Resources Law, Administrative Law and Law of Evidence. Ms Segokgo is currently on study leave to pursue her LLD under the supervision of Prof JM Pienaar. Ms. Leigh-Ann Kiewitz holds a Certificate in Marketing and Market Research (with Distinction) from the University of South Africa. She obtained a BA (Law) degree, LLB degree and LLM degree (with Distinction) at Stellenbosch University. Ms Kiewitz served her articles and worked as an attorney at Chennells Albertyn Attorneys in Stellenbosch. She also worked as a lecturer at the University of Johannesburg. Leigh-Ann is currently pursuing her LLD under the supervision of Prof AJ van der Walt. Mr. Liam Moses is a B Accounting, LLB graduate. He obtained his degree in 2015 and is currently pursuing his LLM degree under the supervision of Dr BV Slade. Mr Moses is a student assistant at the faculty of law, Stellenbosch University.